If you are ‘gonna play the game, you ‘gotta have the right gear. Icon protection and Icon body armor aims to help you get there. 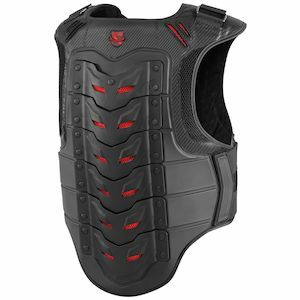 With the breadth of the Icon protection lineup, you can have full-coverage motorcycle body armor that will increase your safety while on the track or the trail. 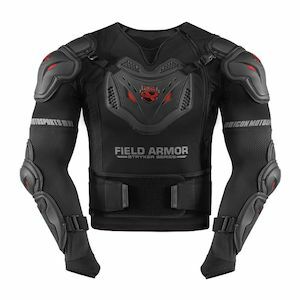 Coming in a variety of sizes, shapes, styles, and fitments, the Icon body armor can be either rigid or malleable, as with the D3O molecular armor. Ardent defenses against the rigors of the road while still remaining comfortable, Icon protection and body armor is a great investment for any rider.